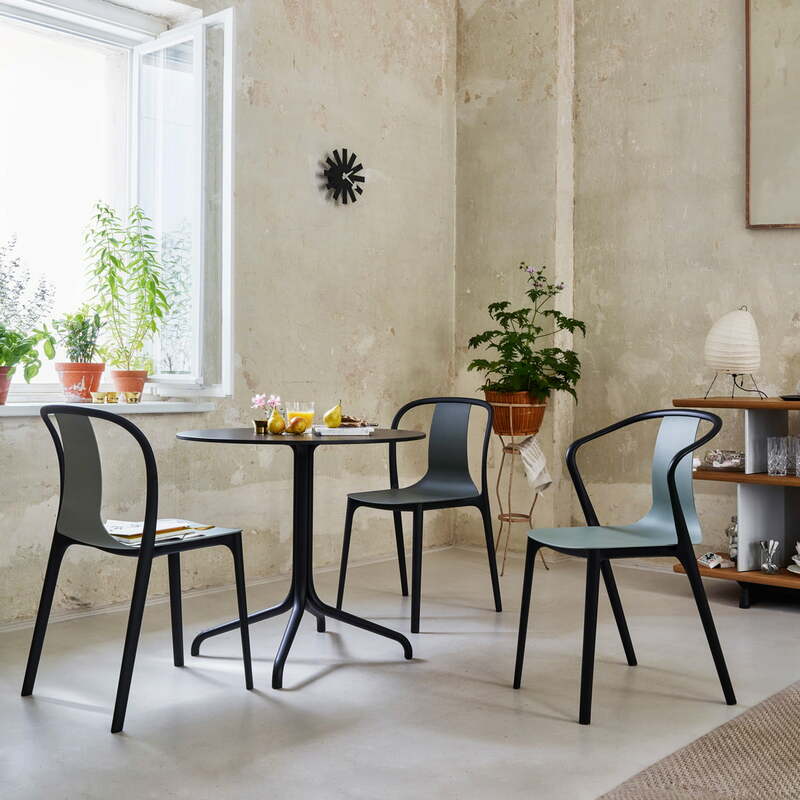 The Belleville Chair Wood - from the correspondent Vitra collection - is inspired by the classic French bistro furnishing in the Parisian quarter of Belleville. Slender, refined and made of new materials, the Belleville collection is a contemporary interpretation of classic French bistro design. 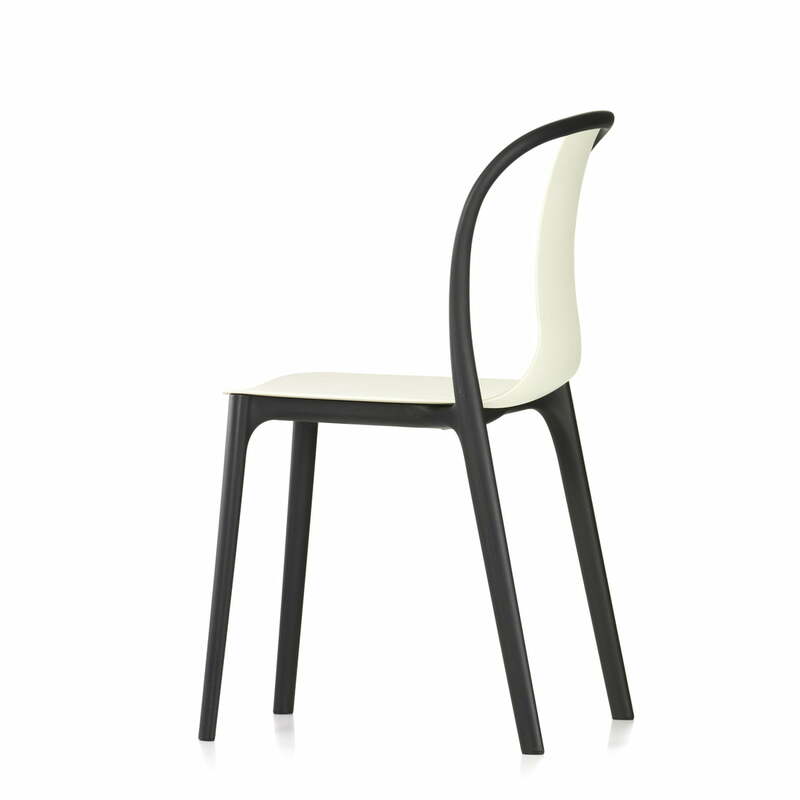 The Belleville Chair Plastic is composed of two components: a frame structure made of plastic and a wooden seat. 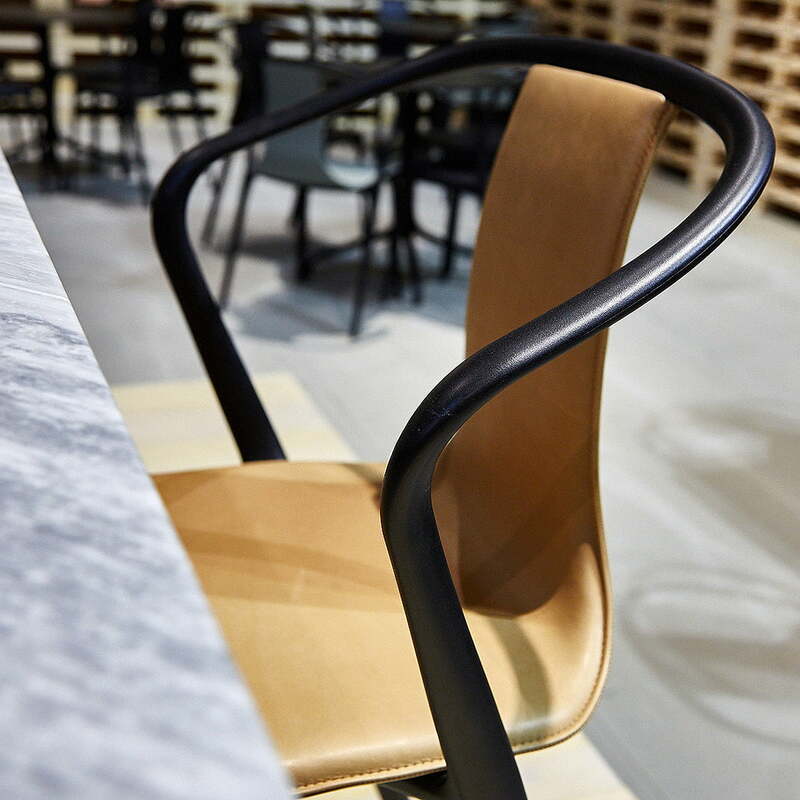 Tracing the calligraphic lines of the legs and back, the slender black frame supports a thin shell that tapers from the wide seat surface into a narrow backrest. The seat shell is contrasting to the frame available in different colours (cream, basalt, sea blue and moss grey) or monochrome in deep black. Loosely based on the French coffee house culture the Vitra Belleville Chair Plastic is stackable for up to 6 pieces. Thus, the Vitra chair is not only suitable for private use, but also for the object area, cafés, waiting rooms or other interiors, where the chairs, if necessary, can be stored space-savingly. 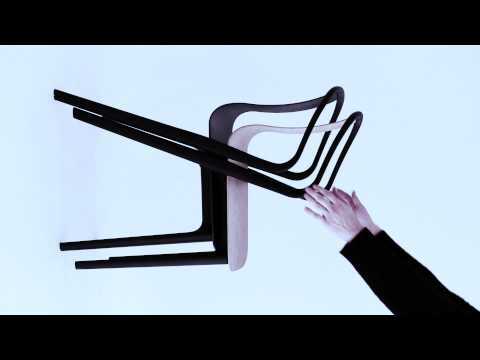 The chair’s 2-component construction offers many arrangement possibilities. While the frame is made of black plastic, there are several material and cover options for the seat shell. As plastic variant the Chair with matching seat shell is available in 5 different colours and both suitable for indoor as well as for for outdoor use. With the matching Belleville outdoor table the chair can be used as a modern garden chair. 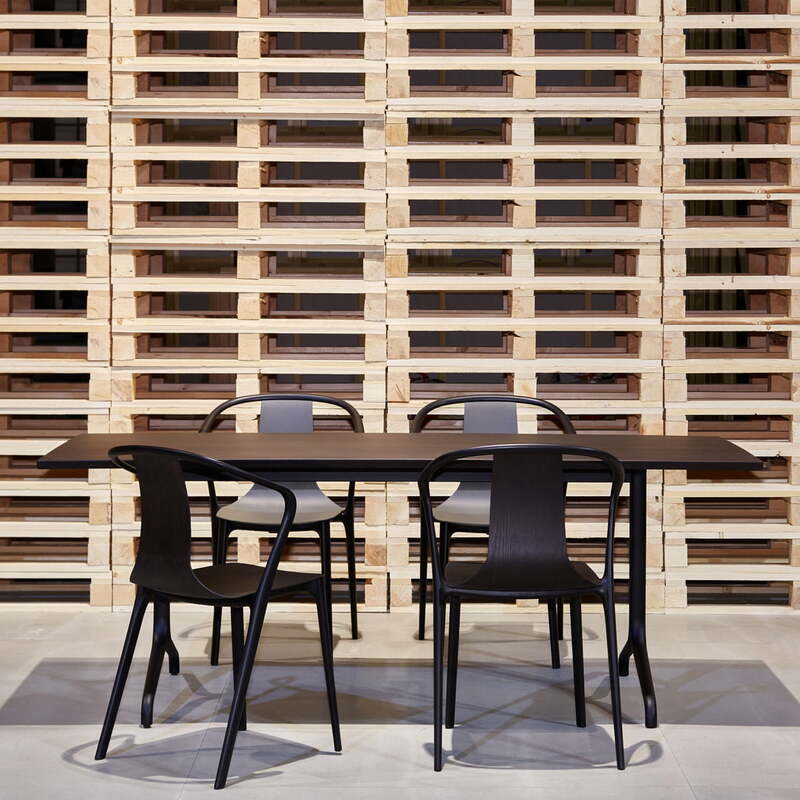 The chair offers more selection in colour and materials as wood, leather or fabric cover versions with appropriate seat shell and a frame made of deep black polyamide injection moulding. These versions are intended for indoor use only, where they set exciting accents in living rooms, gallery rooms as well as in cafés. 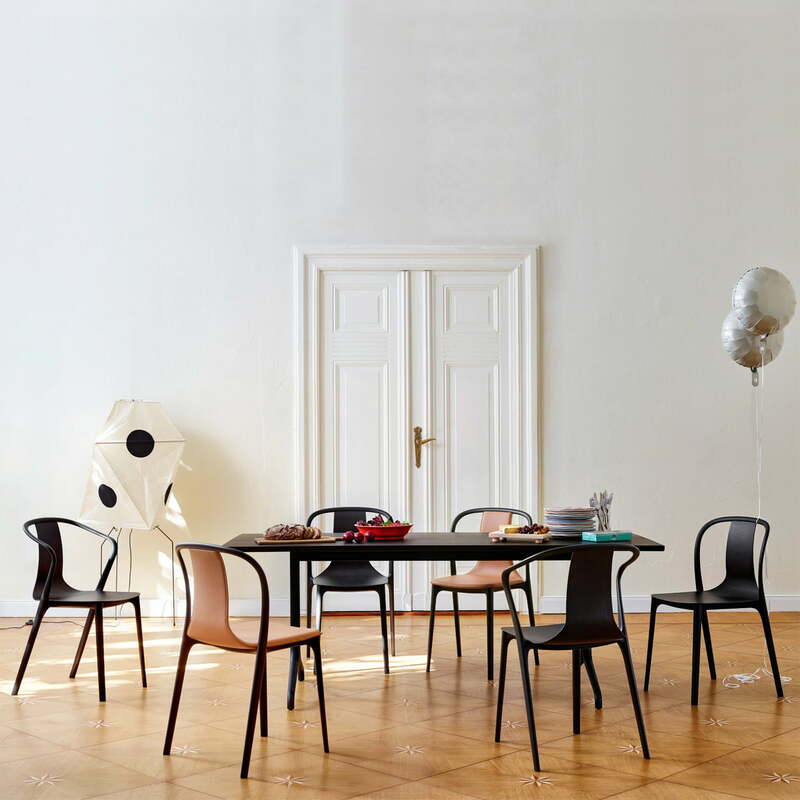 The Belleville chairs from the same collection by Ronan & Erwan Bouroullec for Vitra from all sides. Elegant and stackable Bistro chairs made of plastic. Single image of the Belleville Chair Plastic by Ronan and Erwan Bouroullec for Vitra. 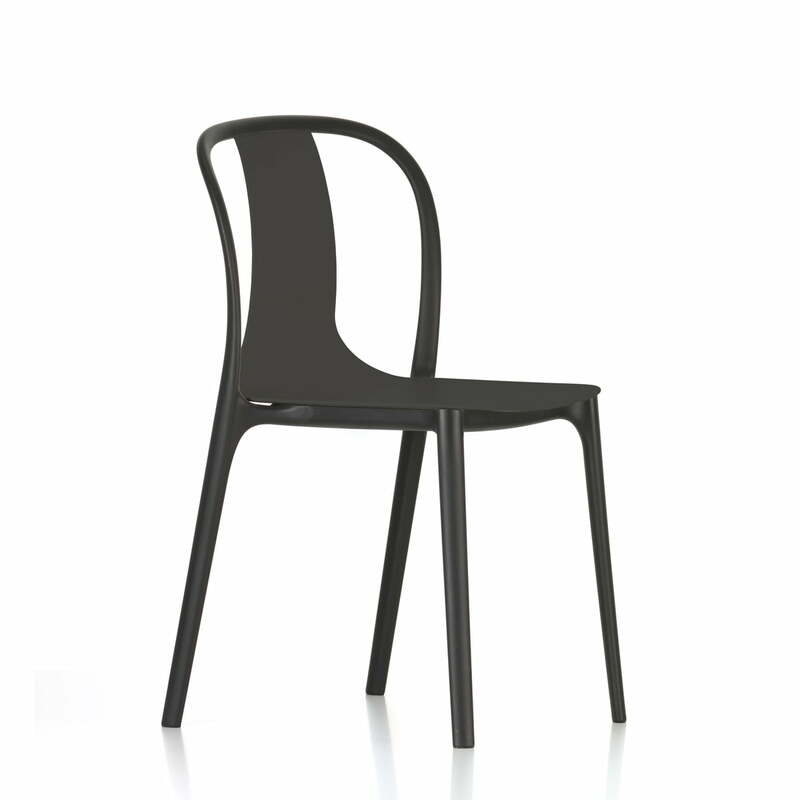 The chair consists of a frame and a seat in deep black polyamide. The round Belleville Bistro table with 79.6 cm in diameter offers enough space for at least three chairs with and without armrests from the Belleville Collection by Vitra. The Belleville dining table by Ronan and Erwan Bouroullec is a slender design, at which- in the size 160 x 75 cm - up to six persons can comfortably take a seat. With the matching Bellville chairs by Vitra, a harmonious picture for the modern living room is guaranteed.